I’ve been very open about sharing on my blog and social media that my drive and passion in work can sometimes get the best of me. I–like many others–deal with undiagnosed anxiety which has the ability to physically manifest in many ways. 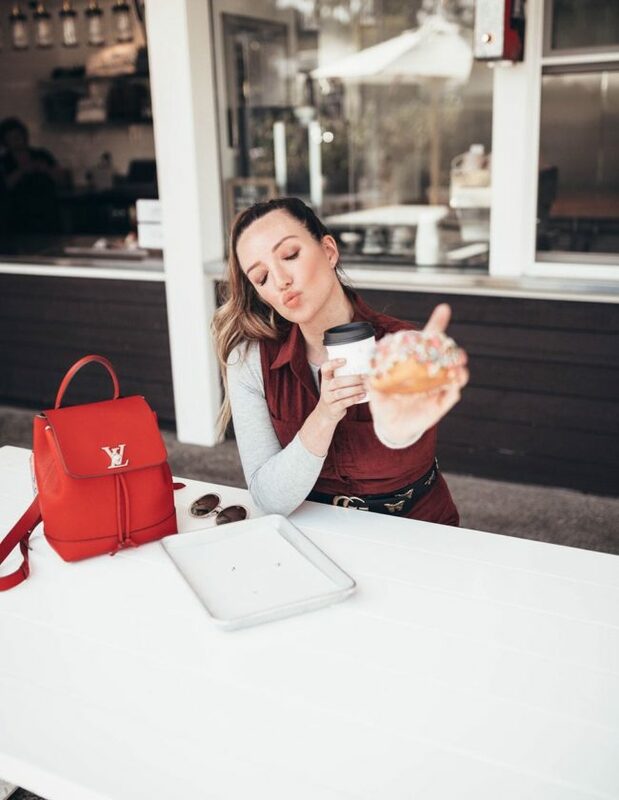 For a long time I would skip breakfast, stash protein bars in my purse, or stop at a coffee shop and grab a croissant as part of my daily rush. Not only did I notice that my go go go schedule was making me anxious, it was upsetting my stomach. After some advice from my doctor, I learned that stress is actually one of the number one causes of GI issues–sorry, TMI, but I’m going there!–and in alignment with reducing stress I should up my intake of probiotics! I tested out different ways to add probiotics to my diet, and my stomach issues are gone. One of my steps towards a healthier, less stressful lifestyle includes setting aside time for breakfast in the mornings. I know that sometimes this isn’t realistic, but I make it work with my schedule whenever possible. My typical morning starts very early, with 5am meetings with New York, so I’ll actually wait to eat breakfast once I get a break from my work, around 10am or so. 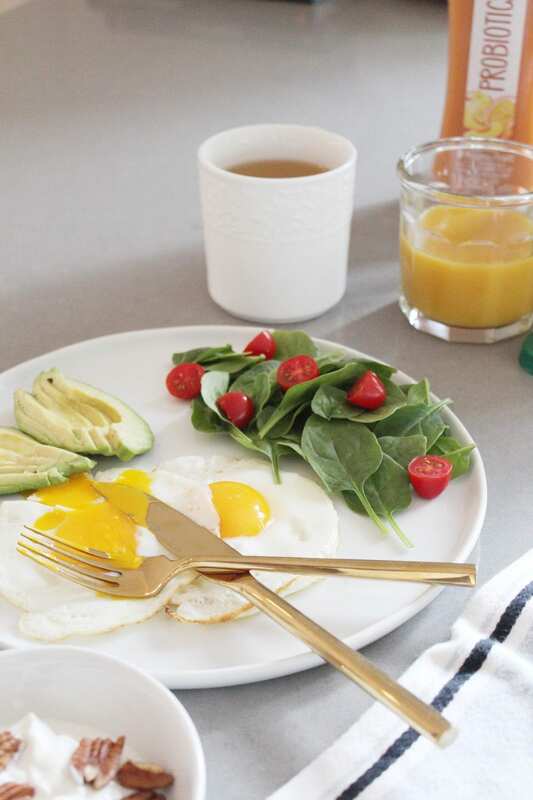 My breakfast changes daily based on what I have on hand, but I always have eggs and avocado (we are actually planting a full grown avocado tree in the backyard! Worth it, since I eat an avocado a day haha). Today I had some spinach, a few cherry tomatoes, greek yogurt (ran out of raspberries though–bummer! ), and a glass of Pineapple Mango Tropicana Probiotics juice! 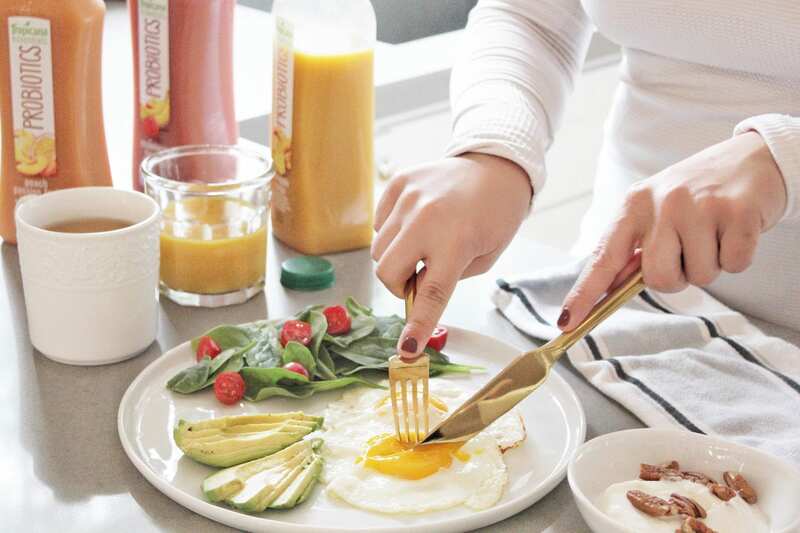 I started incorporating a glass of Tropicana Probiotics into my breakfast for an extra probiotics boost as extra insurance for my body and stomach. 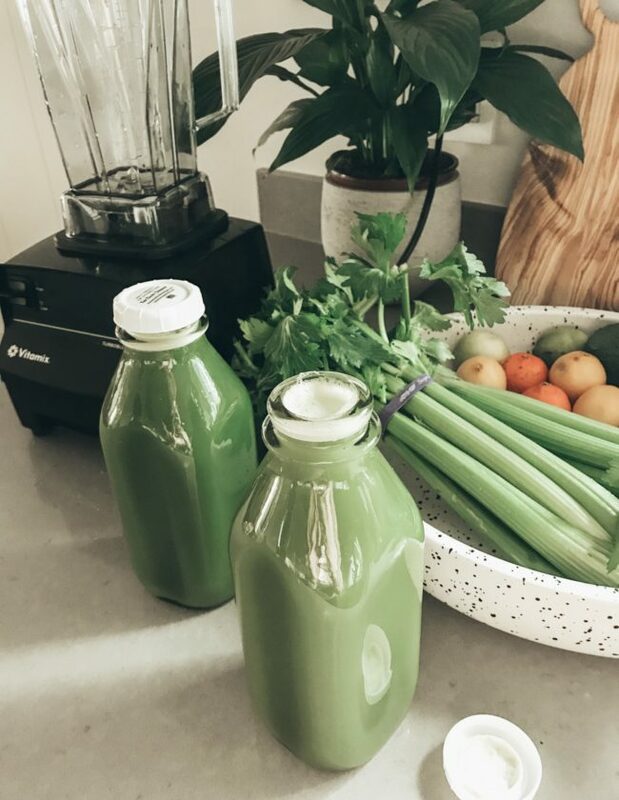 This juice delivers over one billion live and active cultures to your gut and provides your whole day’s vitamin C. I also love that they have no added sugar or artificial flavors. I’ve mainly been enjoying the Pineapple Mango, but just picked up Strawberry Banana and Peach Passion Fruit to try next–or maybe I’ll even mix a couple together. I also want to experiment adding them as a liquid base in a smoothie with some kale and spinach–yum! I definitely recommend getting your probiotics in daily and taking the time to enjoy the start of the day. I love the feeling of taking just 10 minutes for myself in the morning! 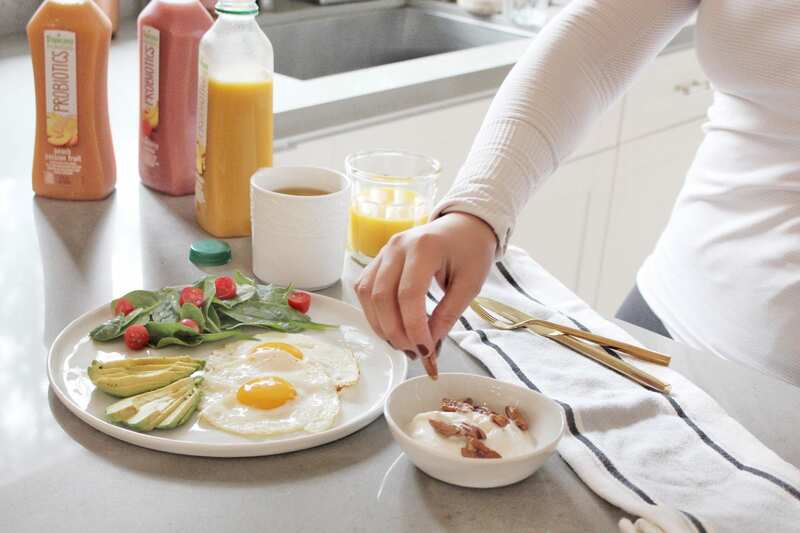 What is your typical morning routine? Have you tried Tropicana Probiotics? Let me know what you think! 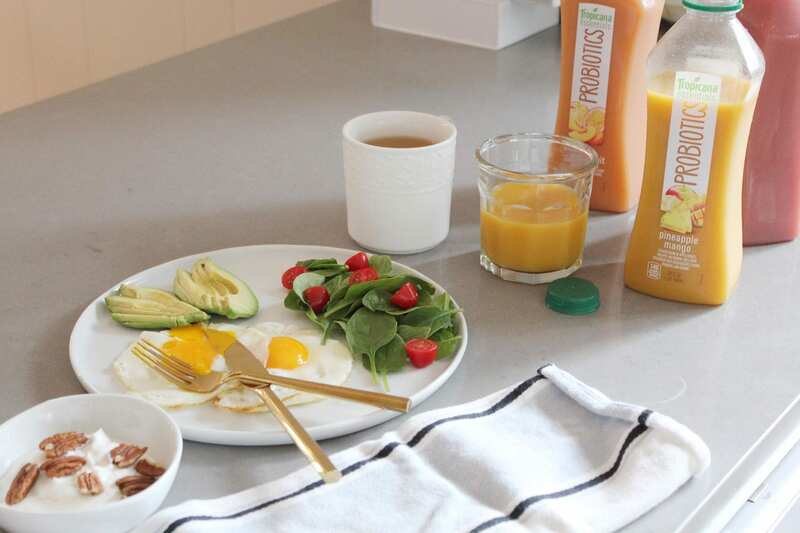 I’ve been looking for new probiotic options for our family and we love Tropicana so this is perfect! Pineapple Mango sounds AMAZING. I usually just get up and have a cup of coffee, I am bad about not eating breakfast or taking probiotics. I will have to make sure that I try Tropicana Probiotics. I can have a glass of that with my coffee in the morning. I make sure to get my probiotics in everyday. They really make me feel so much better. Thank you for sharing this story. I’ve been looking for a better way to get more probiotics into my diet. That is awesome! I already eat yogurt every day, and I think adding in Tropicana with probiotics is a great way to further help my gut. I love Tropicana! I never knew they had a probiotics line. I’l have to try it out! Probiotics really help with my stomach issues. I haven’t tried these probiotic juices yet. 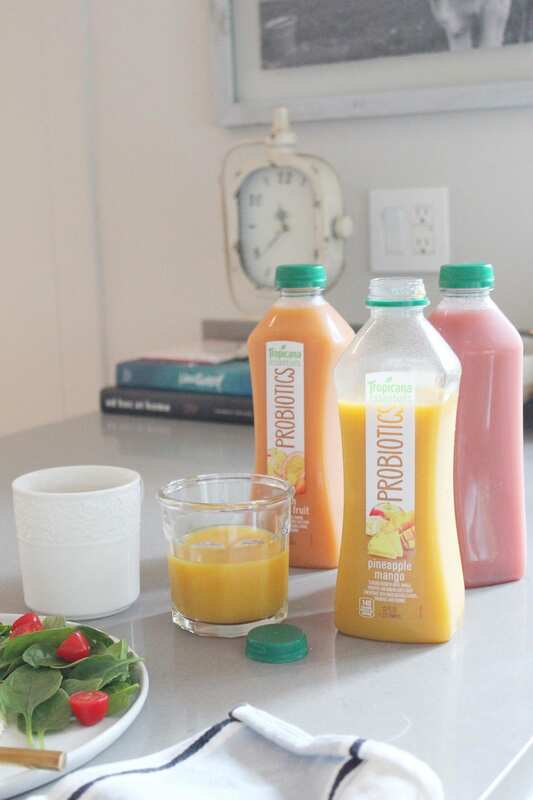 Ah, those Tropicana probiotic juices are nice for fitting probiotics into the daily routine. I need to try them out too. I wonder which flavor I’d prefer. I so need to start taking probiotics. I’ve heard such great benefits of them and will have to check these out! As one who suffers from an autoimmune disorder of the gut, probiotics are something I make sure to take every day. These juices sound like a tasty way to get them in without even thinking about it each day. I haven’t tried them, but I did see them in my grocery store the other day and thought they looked intriguing. I’m terrible at eating a healthy breakfast. If I have time I’ll make eggs and spinach, but usually it’s a breakfast bar or something of that nature. Everyone I’ve talked to touts the benefits of probiotics, so I need to figure out what works best for me and stick with it. This juice just might be it! It certainly looks like it is working for you. I keep hearing good things about probiotics. 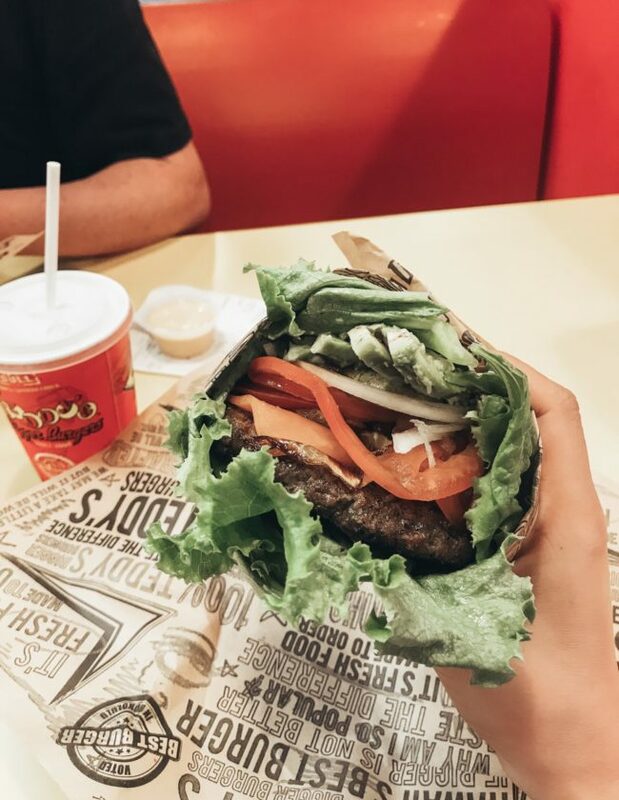 This looks so healthy!! Would love to try this too!! Tropicana sure is leveling up. I would love to give this range of juices a try. Probiotics can really do a lot for our body and it’s definitely going to help improve your health. Taking probiotics is a natural way to stay healthy. I love it when my gut is in tip top shape because I get to absorb nutrients better. I will have to get more Tropicana Probiotics drink. The hot summer months calls for refreshing drinks like this. Probiotics are wonderful things. I have a friend who started using them and it has helped her IBS astronomically. I keep hearing things about the benefits of probiotics. Its like a new buzz word in the health community!